Planting barren or weed infested gullies does much to enhance the Tamahere environment in general as well as individual properties. The return of tui to the area for the first time in decades in 2009 is testament to the value of such work locally, in Hamilton and throughout the Waikato. 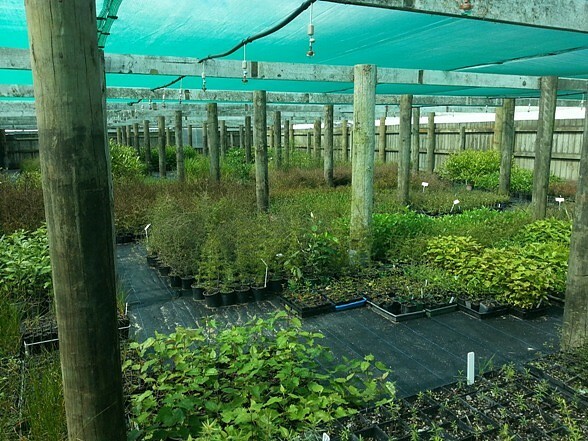 If you are keen on gully restoration, don’t know where to start or need help with efforts underway, Tamahere has an active gully care group and the Tamahere Plant Nursery offers low cost native plants to locals. 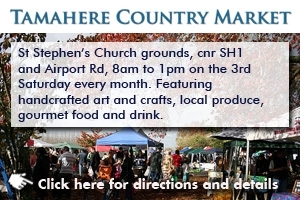 The nursery is open on the second Sunday of the month, 1pm to 3.30pm, at 284 Airport Rd. Driving south from the Narrows, it is the first entrance on the left past Lochiel Road. Please close the gate after you drive through. There is plenty of parking at the nursery. 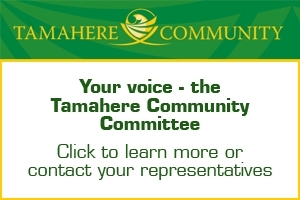 Reminders of upcoming days and invitations to go along to them are posted on the Tamahere Forum. For more information on the gully care group, plant nursery and Waikato Ecological Restoration Trust click to email Jan Simmons or click to email Leo Koppens. The interior of the Tamahere Community Plant Nursery, 284 Airport Rd. In October 2010 around 60 Tamahere people interested in gully restoration attended a one-day forum organised by the Tamahere Gully Care Group and the Waikato Biodiversity Forum. Click here to read a report of the day. Tamahere’s gullies, which range from grass-clad or weed-infested to exotic plant gardens and areas of partial native plant restoration, are now important ecosystems in the Waikato, said native plant specialist Wayne Bennett of Forest Flora. The gullies’ importance had been increased because so much of the rest of the region’s natural heritage had been lost, he said. The Hamilton city gully restoration programme has much useful information on gully restoration.